This week the base of the boards got very close to being complete. Another 5 or so hours and we moved on a step with some of the base details. I continued to use the MIG pigments and some GW washes like Badab black on the sand desert board. Russ worked on the base layer on the ash waste and crater board and managed to add a decent base layer for the main ash areas. Everything still needs some additional drybrushing to bring it on. I then moved on to laying out the landing platform for the 15mm space launch area. It had a base chaos black spray to prime it and will be airbrushed up to a grey industrial colour when complete. Some of the Fenris cooling / power towers have been placed alongside as part of the structure. Nothing is permanent yet and a ramp is also needed at the front of the platform to allow for access. An overview view of the landing platform terrain with the Mesa. The Mesa are made from resin and are in the Critical Mass Games 15mm Terrain range. 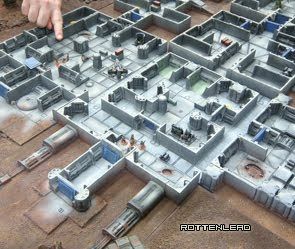 This battlefield board uses the GW moon craters and is the second layout for Salute. The mid grey acrylic used for bulk of the grey will be drybrushed to bring out the grain and texture. Another aerial view of the proposed landing platform. I am still not 100% sure of the layout but this will be the location it is added to the board. The two flat Mesa from Critical Mass Games are providing the main base for the platform to rest on. I have a feeling I will glue it on to bolt it down and properly integrate it into the layout. The power / cooling / shielding columns from Fenris will be add on components to avoid them being snapped off in transit. They all need painting! Richard on the left is building two windmills for the Desert layout. These are deep water pump style windmills. The type you see rusting in post apocalyptic desert towns. 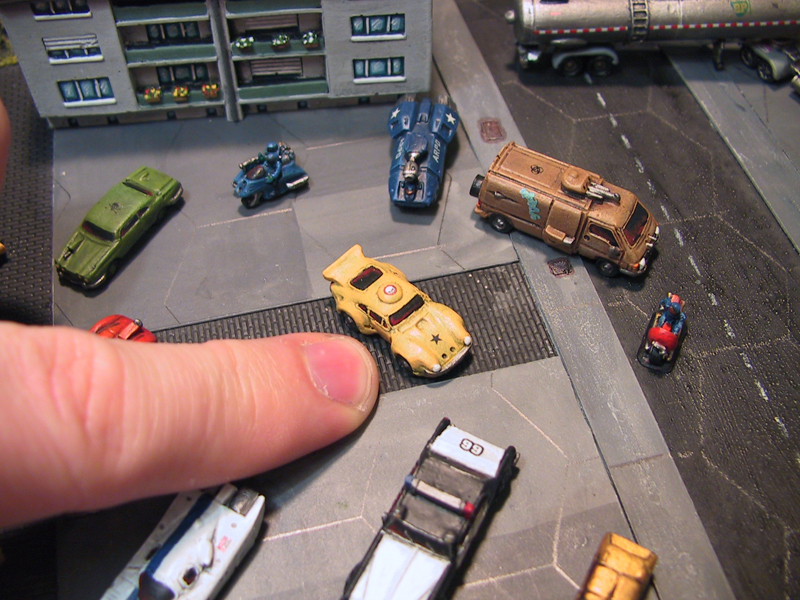 They are small additions to add some super detail to the layout. Very nice Robin, can't wait to see the finished boards. I hope you will have time to do some videos from Salute. btw: what are the small buildings things on the table in the last picture? The board looks great. I especially like the work you've done on the landing pad. The cooling towers and new legs really add a lot to the terrain piece. Thanks Lead Legion. I think it will start looking a lot nicer when I get it finished in a light grey with dry-brushing. What a great looking board. Inspirational too!